The Cassini spacecraft gazes toward a distant star as Saturn's rings slip past in the foreground. At upper left is the outer A ring, with its dark Keeler Gap. 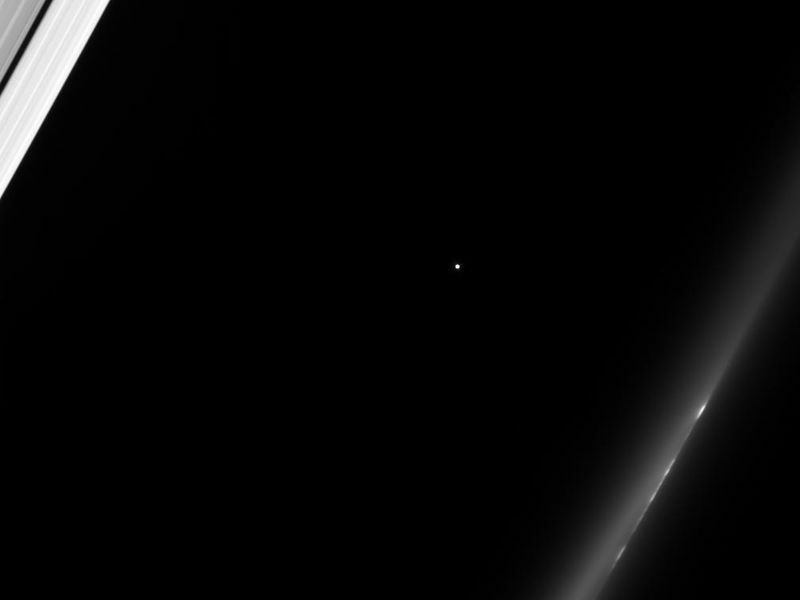 At lower right, a train of bright clumps shuttles past in the wispy F ring. 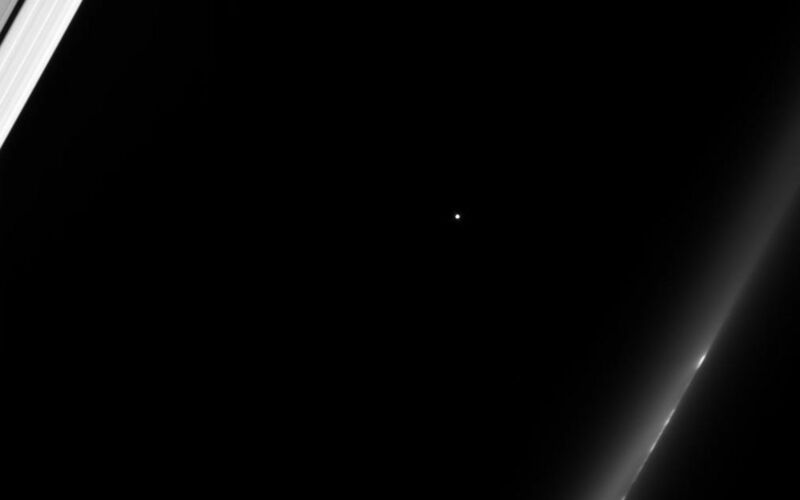 A temporal sequence of images like this allow Cassini scientists to correlate features in the rings with stellar occultation data acquired by other instruments. As the star passes behind the rings, the changes in its brightness indicate how much empty space is between particles at different locations on the rings. 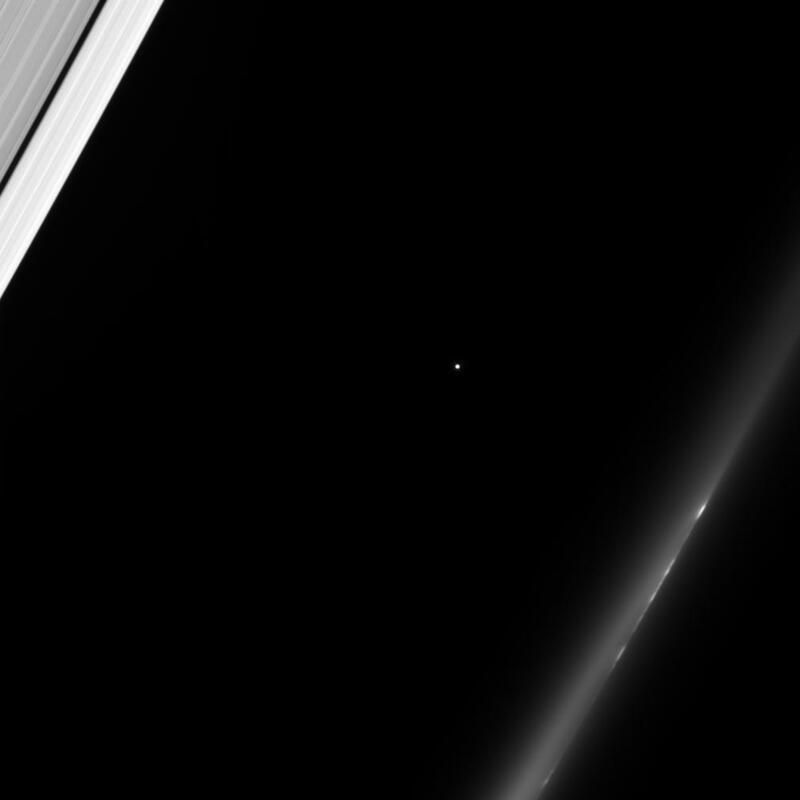 This view looks toward the lit side of the rings from about 56 degrees below the ringplane. The image was taken in visible light with the Cassini spacecraft narrow-angle camera on Dec. 30, 2006 at a distance of approximately 633,440 kilometers (393,686 miles) from Saturn. Image scale is 4 kilometers (2 miles) per pixel.